This may not turn out to be my most popular article, but it might very well be one of the most important for a cook or chef planning on a long, successful career in the kitchen. If we take a step back for a moment and try to understand that restaurants are businesses – businesses that only exist if they are able to meet established financial goals, then a chef would have to accept that a significant part of his or her job is to ensure achievement of these goals. All of the other parts of the job that we enjoy such as: waking-up excited about cooking and holding close to our hearts as our purpose in life, such as: producing great food, having the opportunity to create, building relationships with passionate farmers and producers, and helping to train the next generation of chefs can only be realized if the restaurant earns a reasonable profit. To this end, those cooks and chefs who fail to appreciate that the business side of restaurants makes everything else possible will rarely enjoy a long-lasting career. Managers are well versed in directing people to accomplish a task, planning and organizing towards results, and trouble shooting problems as they arise. Every successful chef must be a solid manager of people and things. Leaders help to create an environment where people thirst for knowledge, aspire to exceed expectations, share common goals, and feel an important part of the team responsible for reaching those goals. 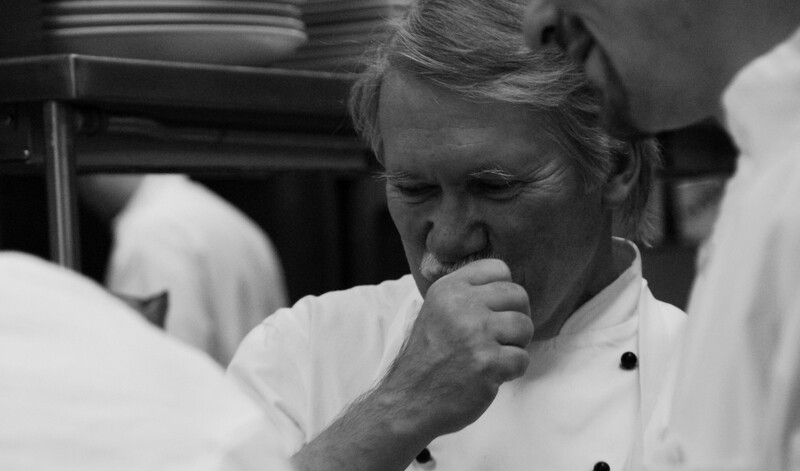 Every chef who eyes a long and fruitful career at the helm of a kitchen must exude the characteristics of leadership. Cooks with aspirations of becoming that chef must commit to learning from other leaders. A terrific resource in this regard is Chef Charles Carroll’s book: Leadership Lessons from a Chef. Decision making in any business without substantial, useable data is nearly impossible. It is true that some decisions are best if they come from gut feelings, but even those should be based on a strong foundation of statistical data. Chefs need to know check averages, what items sell best at different times, why business is best on certain days and worse on others, how much each menu item contributes to overall financial success, the cost of producing each item, the amount of labor required to produce certain items, the yield from various cuts of meat and seafood, etc. The more useable detail the better, however, data is only useful if it is studied and applied. Every chef should add The Underground Culinary Tour by: Damian Mogevero to his or her library of essential reading. This superb book addresses the difference between borderline and very successful restaurants – the answer lies in the management of data. Chefs with the brightest future are always appreciative and thoughtful when it comes to history and tradition in kitchens and with cooking, but open-minded enough to study, and when appropriate, embrace the changes that will keep a restaurant successful for decades. The best chef’s are thinking ahead of the competition and even ahead of the customer. The best chefs are able to anticipate what people will want in the future. Without question – chef’s need to be masters of cooking and be able to train cooks how to replicate the flavors, aromas, and presentations that will inspire guests and pull them back, time and again. Certainly some chefs have a gift, or a greater level of achievement in this regard, however, simply being a masterful cook does not automatically equate to restaurant success. This is a major part of the package that you sell, but on its own it will be incomplete. The attitude of service excellence can never be ignored. To drive that top line, restaurants must engage a service staff with the hard knowledge and soft skills that lead to first class customer experiences, higher check averages, and return business. This is an understanding that is exemplified by one of America’s greatest restaurateurs – Danny Meyer in his essential read: Setting the Table. Every career-oriented chef should add this resource to his or her office library. Cooks aspiring to become chefs looking for career longevity are adept at keeping their ears to the ground and their eyes focused everything around them. Listen to what competitors are doing, listen to your staff and pay attention to their perspective, listen to guests, and by all means listen to those organizations and businesses that personify excellence and business success. Even companies that are not in the business of food can provide that spark of inspiration that is needed. A thirst for knowledge is of prime importance to any successful businessperson. This holds true for cooks and chefs as well. “What did you learn today?” Can you answer this with detail of a new skill, fact, process, flavor, etc.? If no, then you have wasted an opportunity to build that personal brand and make yourself more attractive to an owner/operator, peer, staff member, or restaurant guest. Make this a part of your daily routine. Excellent chefs seek to provide similar opportunities for staff. When employees see your willingness to help them improve, they will return the favor with renewed enthusiasm and passion. An environment of personal investment will help to attract the best employees and provide the means for chefs to achieve the financial goals before them. If the operation can’t find the funds to send staff to attend workshops, classes, or conferences then the chef can offer in-service training with focus on their own experiences, or even send kitchen staff to stage’ at a peer chefs restaurant. Aside from the obvious attention paid to food trends and styles of cooking, an effective chef must stay focused on those changes in financial climate that become obvious through analysis of data. Are there changing patterns in what customers select from a menu, anomalies in wine sales, changes in the cost of raw materials, subtle movement in patterns of upselling from service staff, or creeping costs associated with utilities – especially fuel costs in the kitchen? All of these factors and more are on the radar of a career chef – a chef whose services are always in demand. In the end, if you are an aspiring cook with eyes on that leadership role or an existing chef seeking to find ways to solidify your status as a leader, then it is essential to view the position as much more than being an outstanding cook. Successful chefs are successful business people who happen to be masterful at the preparation and service of outstanding food. ***Thanks to Chef Heather Allen Miller for saving this photo from 1988.